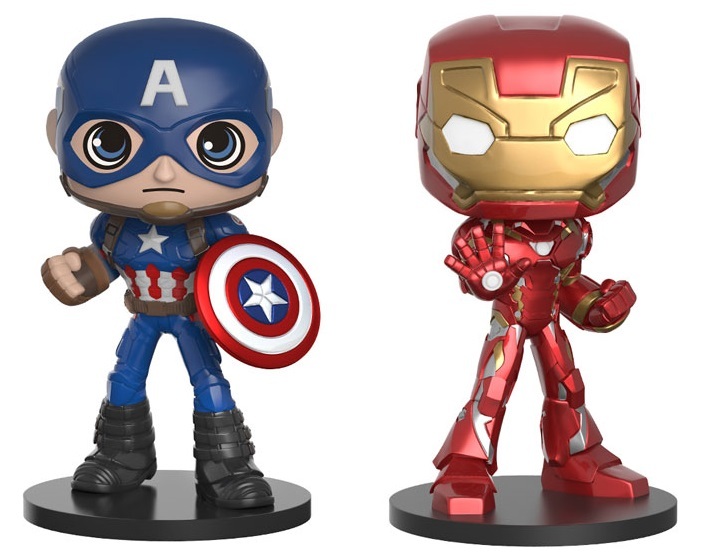 Funko has announced a new line of Captain America: Civil War Wobblers bobble heads based on the heroes of the Marvel Universe! Wobblers combine the stylized appeal of contemporary vinyl figures with the traditional collectability of bobble heads. 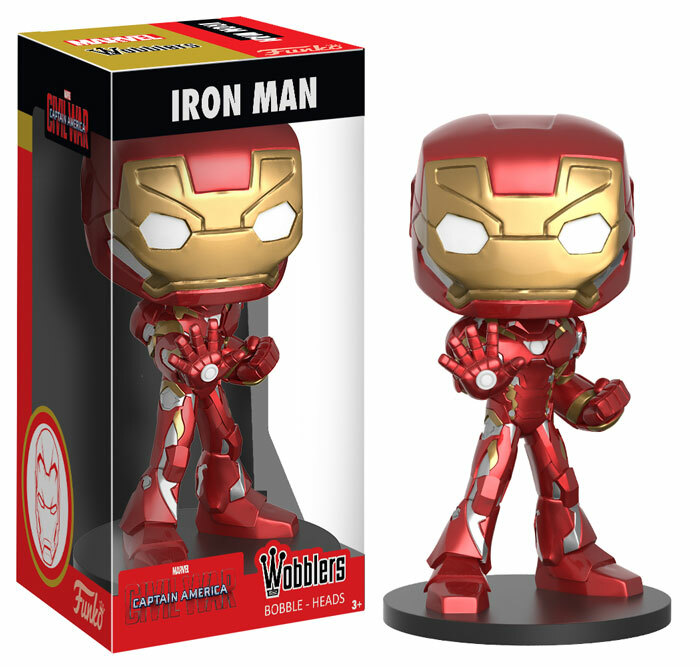 Avengers Captain America and Iron Man kick off Funko’s new line of Marvel Wobbblers! 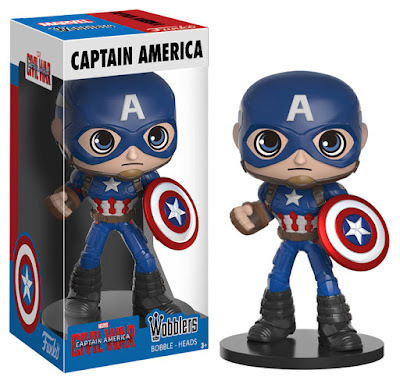 Each Captain America: Civil War Wobblers Bobble Head by Funko stands 6” tall, features a base, and comes packaged in a full color window box perfect for display. These Marvel figures can be pre-ordered now at Entertainment Earth for $10.99 each here.